We’d like to introduce you to our Aerospace IRC Members. Russell has worked for Qantas for 40 years. 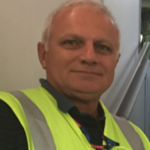 He started as an Aircraft Maintenance Electrical/Instrument apprentice at Qantas in 1979 and his current role is to maintain compliance in the recruitment, registration, and performance management of training in accordance with national Training Package and respective State Training requirements. He has been involved in various committees related to skills development for two decades and has mentored and taught over 3,000 learners. Boeing’s presence in Australia is the company’s largest footprint outside the United States, with more than 3,000 employees in 38 locations. Boeing has the broadest portfolio in Australian aerospace, with its employees and an extensive supply chain supporting our advanced manufacturing of commercial aircraft composite components, defence systems design and development, modeling and simulation, research and development, support and training, and unmanned systems. 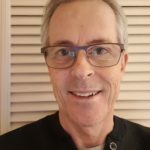 Michael has over 40 years’ experience in aircraft maintenance both in the RAAF, Defence contracts and in Airline maintenance where he held CASA Form 4 Quality and Safety Manager. 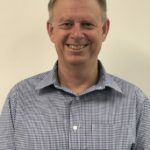 His strengths include Safety Management Systems, Human Factors, trade practices and is recognized as an Associate Fellow of Engineers Australia. Paul is a key person in the AMWU’s Manufacturing Industry Skills Training and Apprenticeship Services (MISTAS). MISTAS reflects the AMWU’s recognition that Australian industry needs dynamic workers who acquire recognised, portable skills which in turn provide access to higher wages and improved job security. Warren has over 30 years’ commercial aviation and six years’ military experience. He is responsible for providing Continuing Airworthiness Management Organisation support and regulatory services to Hawker Pacific’s internal and external customers. 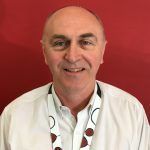 Warren has been with the company for ten years, prior to which he held maintenance manager roles at Execujet, Skytraders and Eastern Australia Airlines. Mary, and her husband Geoffrey, established NQ Aviation Services at Ingham Airport in 1998. The business has Australian and PNG maintenance approvals, providing fixed and rotary wing maintenance, maintenance control, aviation consultancy and airport refuelling. 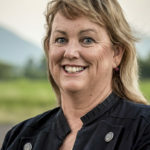 Mary was elected as a Councillor of Hinchinbrook Shire Council QLD in 2016 and appointed Deputy Mayor. 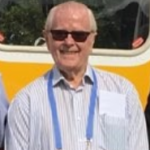 Ken has over 60 years aviation engineering aeroplane and helicopter industry experience with both domestic and international eminence. The Aviation Maintenance Repair Overhaul Business Association represents the engineering design, parts manufacturing and maintenance, repair and overhaul segment of Australia’s Aviation Industry with particular emphasis on the skill for these sectors. It voices the concerns of the industry and keeps members up to date with developments in legislation and standards. Lynda works at the Australian Defence College in strategic Education and Training. Key aspects of this role include managing Defence’s engagement with the national VET sector, providing technical advice for the use of VET outcomes in workforce skilling and managing the Defence Training Package and Apprentice Management Framework. 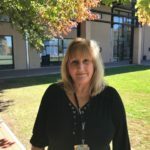 In addition, Lynda also manages the Defence Education and Training senior governance boards, committees and advisory Working Groups, the single enterprise Defence Registered Training Organisation as well as the ADF Transition project to provide suitable accreditation for Veterans. In this role, Lynda manages representation on 14 IRCs and is a member herself of 8 IRCs. In 2018, Lynda received the Secretary of Defence Gold Commendation for outstanding performance as the Director of National Skills Framework at the Australian Defence College. Mark commenced with the Australian Workers Union (AWU) – Tasmanian Branch in 2013 covering many different industries including aviation and manufacturing. Before working with the AWU in Tasmania, he was employed for 8 years with the Health and Community Service Union in Tasmania as a Lead Organiser. He transitioned to the AWU – National Office in 2015, as a National Organiser, where for the past 18 months he has filled the role as National and NSW Branch Chief of Staff. 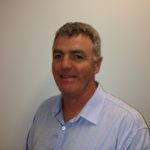 Mark has also been a Director of SkillsDMC and committee member of Construction and Property Services Industry Skills Council now known as SKILLS OZ, The Construction Industry Reference Council administered by Artibus Innovation, Manufacturing Skills Australia and Australian Drilling Industry Training Committee. Chartair is one of the leading fixed wing aircraft charter companies in Australia. It operates a fleet of 45 piston and turbine aircraft, delivering valuable services to some of the most remote locations in the country. With some 20 years’ industry experience in Europe, the Caribbean and Australia, Douglas has a dynamic blend of operations, commercial and senior management expertise. Mike has extensive experience having spent his entire career in the aviation industry. He is currently the Chief Executive Officer of the Regional Aviation Association of Australia, a position he had held for the past 3 years. Prior to this, he worked in DOTARS and CASA in various aviation security programs and airworthiness management positions. He is a qualified commercial pilot, having flown on PNG and Australia for eleven years. Mike also managed a small airline based in Alice Springs for nine years, serving 40 remote communities twice weekly spread over three States. Mike is also Licensed Aircraft Maintenance Engineer on Boeing 747 airframe, Rolls Royce and Pratt and Whitney engines and worked for Qantas for 13 years. The Civil Aviation Safety Authority (CASA) is a government body that regulates Australian aviation safety and the operation of Australian aircraft overseas. CASA licenses pilots, registers aircraft and oversees safety. 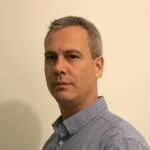 Michael has responsibility for research and development of policy, standards, regulations, procedures and associated guidance material relating to the licensing and training of aircraft maintenance engineer (AME) personnel. 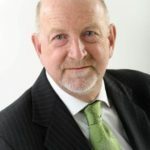 Michael brings extensive industry experience having worked in aviation for 40 years, including in civil and military heavy aircraft maintenance repair, overhaul and production manufacturing in Australia and Canada and in Australian government aviation policy and regulatory sectors. He is the CASA/Australian representative on the AME working group of the ICAO Competency-Based Training and Assessment Task Force. 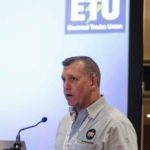 The ETU is a union of more than 70,000 electricians, apprentices and electrical workers around Australia. It seeks to organise for growth, secure safe workplaces, raise wages, improve conditions, and improve life for all Australians. Matt’s responsibilities include campaigning, advocacy and negotiation in the aerospace, shipbuilding, engineering, electrical power, transport, infrastructure asset and defence industries. He is a former HV Substation Maintenance Tradesperson and Infantry Soldier. Stephen has an industry background as a Licenced Aircraft Maintenance Engineer (LAME) and Quality Auditing for Qantas. He then joined the Australian Licensed Aircraft Engineers’ Association (ALAEA), a federally registered Australian organisation that represents the technical, professional and industrial interests of Licenced Aircraft Maintenance Engineers (LAMEs). ALAEA membership includes most LAMEs employed in regular public transport, regional airlines and General Aviation. The ALAEA’s members also include technical and other engineering support staff. Beginning his Aviation career as an Aircraft Maintenance Engineer, Steven has over 20 years of commercial aviation experience in the fields of aircraft and engine maintenance, airline operations, aircraft evaluation and aircraft leasing and purchasing in the Charter sector. 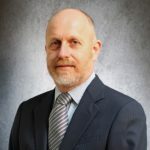 He has a Master’s degree in Aviation management and has lectured extensively in human factors, aviation legislation and aircraft maintenance at degree and certificate IV levels. Steven provides guidance to project teams and individuals with regard to integration of new regulations into existing operations, development of training programs, adherence to CASA and government training standards and efficient use of training resources.